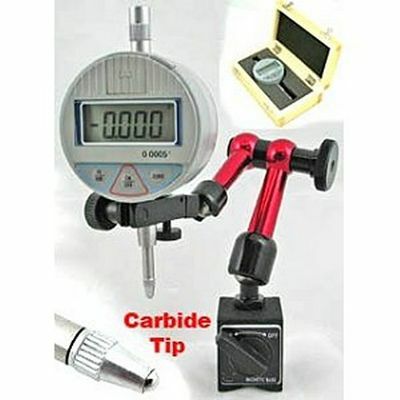 Mini magnetic base and digital electronic indicator for those mini lathe/mill and other tight places. Set includes MINI UNIVERSAL MAGNETIC BASE and DIGITAL ELECTRONIC INDICATOR. Reduced scale for work in tight areas.